Christian Borgward: Revival is "dream come true." Of all the dead brands waiting to be summoned from the automotive graveyard, Germany's Borgward seemed among the least likely to return to life. Borgward declared bankruptcy 54 years ago and hadn't built a car since. We somehow missed the clamor for its comeback, but a new Borgward AG, formed in 2008 by Christian Borgward, grandson of company founder Carl Borgward, has scheduled a press conference at next month's Geneva auto show. It's expected to reveal an all-new car. Borgward built more than 1 million vehicles between 1919 and 1961 under the Borgward, Lloyd and Goliath brands and was once Germany's third largest manufacturer by some accounts. Its most popular car, the Isabella, was sold in North America in small numbers. The new car may be called Isabella, too. "Relaunching Borgward is a childhood dream come true for me," says Christian Borgward. There's no word yet on who is bankrolling the venture. 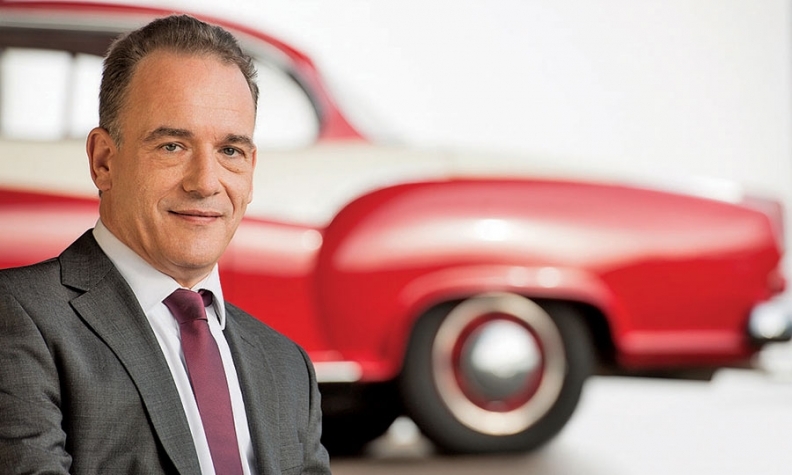 According to German auto magazine AutoBild, Chinese commercial truck maker Beiqi Foton -- a joint venture partner of Daimler -- is behind the plans to revive Borgward after securing the brand rights in March 2014. A Borgward spokeswoman declined to comment on the report.